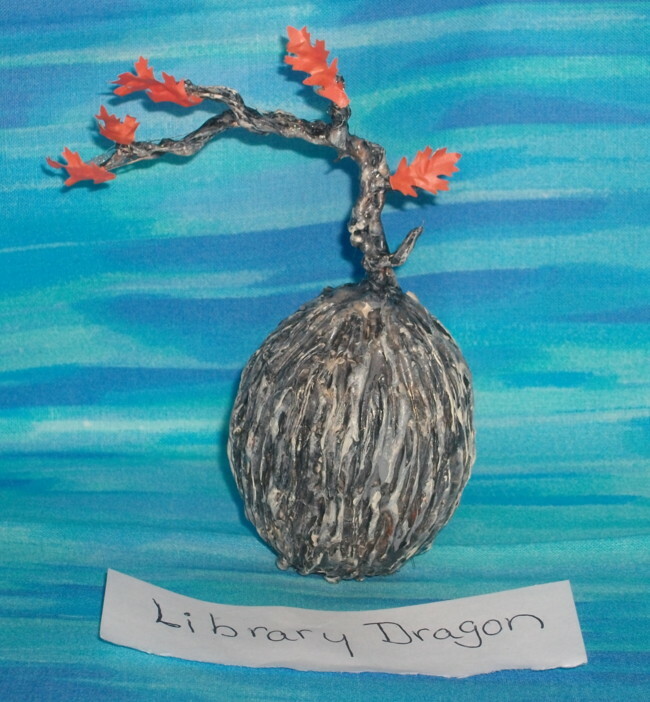 This was made with polymer clay, an egg, acrylic paint, wire, hot glue and floral leaves. This is one of my favorite critters on Magistream. I had lots of fun making it. good job on the branches and good luck!! I like it!